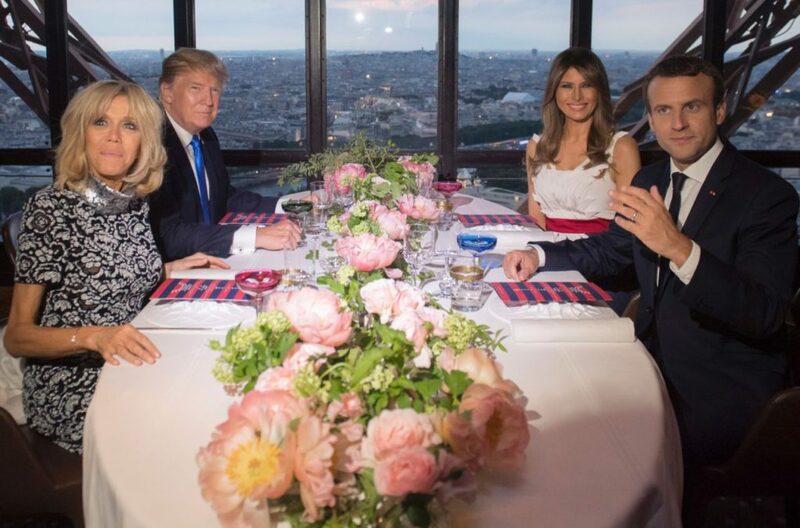 First Lady Melania Trump radiated atop the Eiffel Tower in Paris, France, where she and President Donald Trump ate dinner Thursday night with French President Emmanuel Macron and his wife Brigitte. 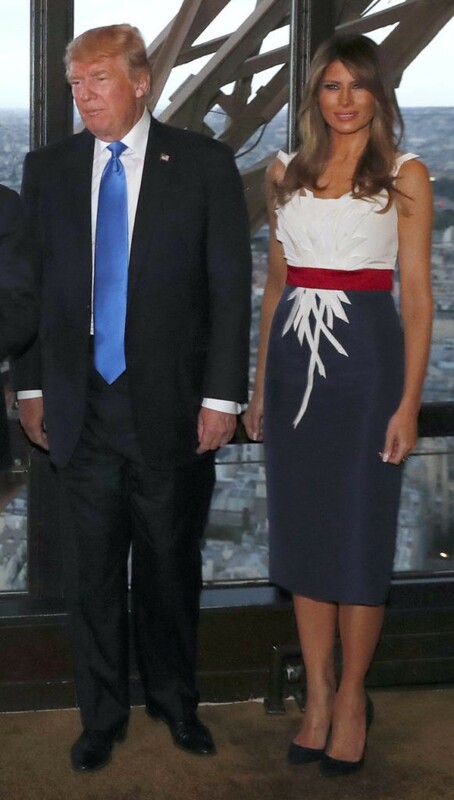 Melania, always one for custom-made high fashion frocks, wore a bespoke Hervé Pierre red, white and navy blue cocktail dress for the formal dinner, paired with black stilettos and perfectly tousled hair. The dress takes inspiration from the Americana and French flags, but also is unusual in its bodice origami-like detailing, which resembles a basket of wheat. 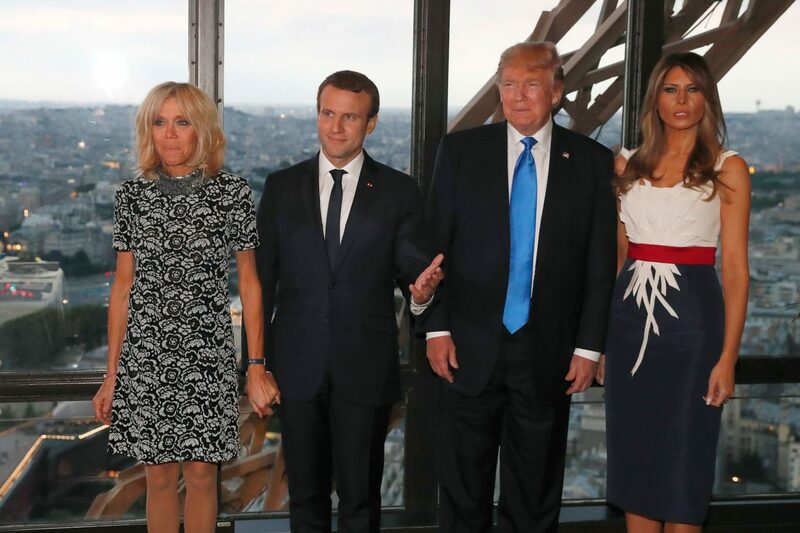 Hervé Pierre, a French-American fashion designer, is the First Lady’s go-to designer for custom-made ensembles, along with Stefano Gabbana from the Italian fashion house Dolce & Gabbana. 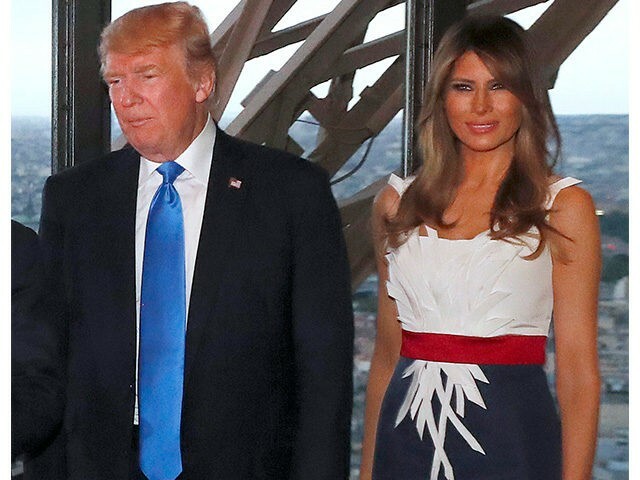 Melania stunned the American and French people when she arrived in Paris, the fashion capital of the world, wearing a traditional red Christian Dior skirt-suit. Melania’s suit paid homage to the French fashion house’s groundbreaking “New Look” style revolution in the late 1940’s, which exaggerated the bust and hips in what is now known as the “Bar” suit.